All along the West Bank of Luxor like pearls along a string are pharaonic mortuary temples and ornate tombs, each one more beautiful than the last. 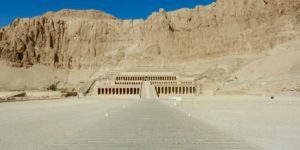 Let’s explore Egypt from the Valley of the Kings to the Tombs of the Nobles and many other spots, the West Bank is one of the most spectacular areas in Egypt. There’s nothing quite like taking private guided tours of Egypt and feasting your eyes on these iconic monuments for the first time. The mighty river glimmers in the sun, the dusty tombs stand tall and immobile and when you duck inside to their cool hidden chambers you will see ancient paintings and hieroglyphics – their colors still bright and vibrant on the walls. In this region every year the ancient Egyptians celebrated the Beautiful Feast of the Valley, where the royal power was celebrated and strengthened. The temples were meant to honor the dead kings for all eternity – keeping the cult of the king alive and guaranteeing his ongoing worship. The best way to see these tombs is in the cool of the morning, as the afternoon will bring sweltering heat – especially in the summer. 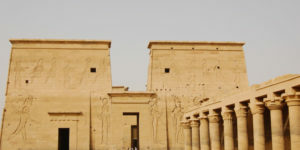 The temples in the Valley were known by the ancient Egyptians as the “Temples of Millions of Years.” Although they were thought by the early Egyptologists to be funerary or mortuary temples, they were in fact temples built for the worship of the deceased kings. Originally there were many more temples in this region and those that remain are mostly in ruin. Visiting the tombs and temples of the West Bank of Luxor in all private Egypt tours is an absolute must on your Egypt tours packages. Read on for more info on the fascinating ancient sites you can explore while you are there. King Tut is one of the most well-known pharaohs in modern times. He was the 12th king of the 18th Egyptian dynasty and he died at age 19. 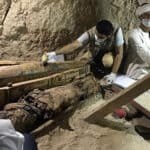 The discovery of his tomb has revealed a lot of interesting information about his life and the times that he lived in. When English archaeologist Howard Carter opened his tomb in 1923, it sparked a wave of “Egyptomania” – an obsession with Egyptian art and culture that influenced the worlds of fashion, architecture, art and much more. Carter had been searching for five years with success, with the backing of a rich sponsor named Lord Carnarvon. In 1922 Carnarvon wanted to call off the search for the little known Tutankhamen, but Carter convinced him to hold on for one more year. His persistence paid off and later that year Carter was opening up the ancient sealed doorway to find the treasures that had laid untouched for more than 3,000 years. 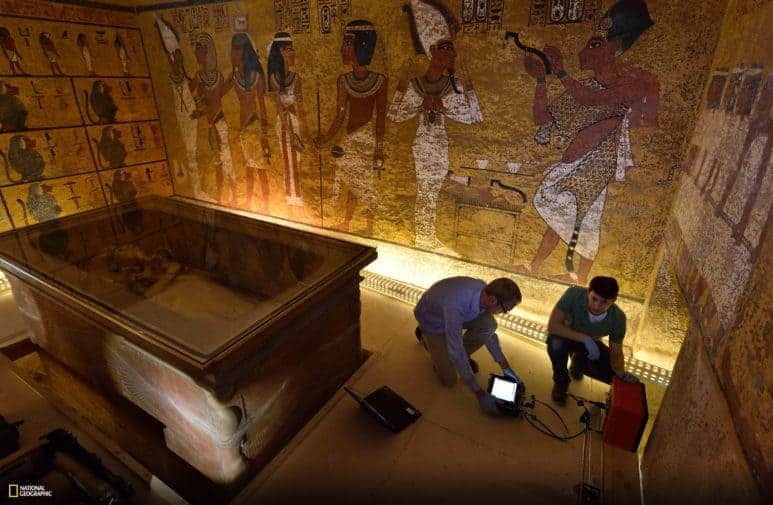 The priceless treasures were carefully removed, catalogued and included in a famous traveling museum exhibition called the “Treasures of Tutankhamun.” The exhibition now has a permanent home in the Egyptian Museum in Cairo. In Cairo there are also amazing historical sites, mosques & churches, luxury hotels, and amazing restaurants besides the Pyramids and museum as well. This tomb was originally constructed by Pharaoh Ramesses V (who was buried here) but his uncle Ramesses VI later used the tomb for himself. The design of this tomb is more simplistic than that of Ramesses III, which is typical of the 20th dynasty. As you walk through the entrance – note the disk that contains a scarab and an image of the ram-headed Ra. Along both sides of the first corridor you will find images of Ramesses VI before Ra-Harakthi and Osiris. Originally these depicted Ramesses V but were usurped by his uncle. Although his son Ramses II is more famous, King Seti was considered a great king during his time. He is known for his cultivation of the arts and his military achievements. The tomb of King Seti I was revealed by the researcher Giovanni Battista Belzoni in 1817. When Belzoni entered the tomb he had no idea what he had found – as the mummy was nowhere to be seen. It turns out that many of the tomb’s treasure were already plundered. However, there was a mummified bull inside the tomb, so he assumed that it must have been created to honor Apis, a holy bull. The walls of the tomb are covered with incredibly detailed paintings that depict life in the Egyptian era in vivid detail – it is one of the best decorated tombs in the entire valley. This tomb is often closed to the general public, so if you want to visit it you will need to arrange in advance with your private tour guide in order to obtain a special permit. Lying southeast of the temples of Medinet Habu you will find the Valley of the Queens. Resting within a Y-shaped ravine in the Western Cliffs, the valley was a necropolis for the tombs of the royal family members. 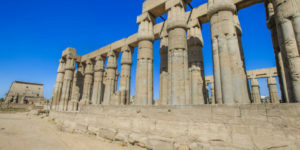 It is located directly opposite the ancient capital city of Thebes (the modern city of Luxor). Approximately 90 numbered tombs belonging to princes, queens and high officials of the New Kingdom can be found there. 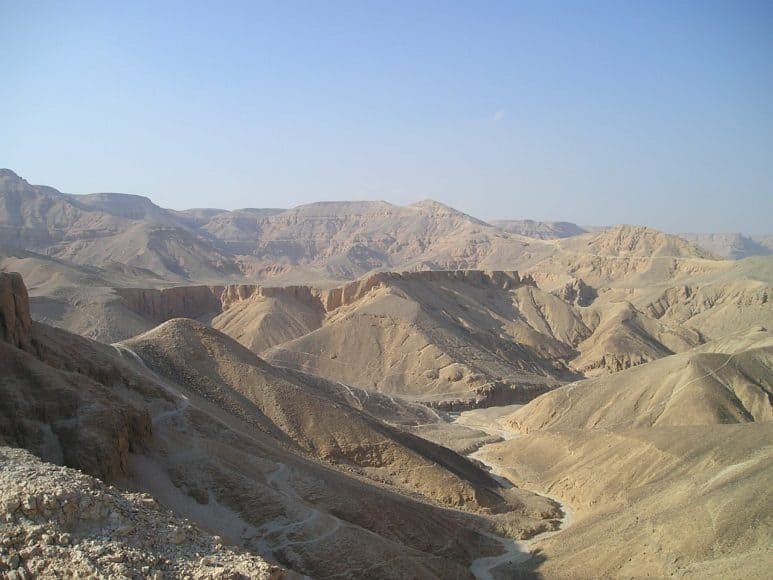 Although the name “Valley of the Queens” suggests that only queens were buried here, that is not the case. The area was also used for the burials of princesses, princes and other nobility. Although many important queens and members of the nobility have been buried here, unfortunately many of the tombs have fallen victim to robbery in antiquity. So many thieves have crept into these tombs over the years that very few artifacts have been found in situ here. 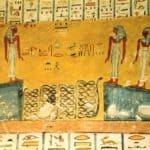 One of the most spectacular tombs in the area is the burial site of Queen Nefertari. 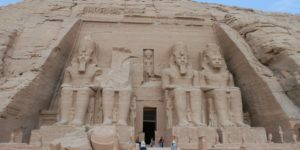 In fact, it is widely regarded as one of the most beautiful tombs in Egypt and all Egypt tailor made tours must include a tour there. Nefertari was one of the five wives of Ramesses II and she was his favourite – he had her tomb painted with scenes depicting her with the gods. 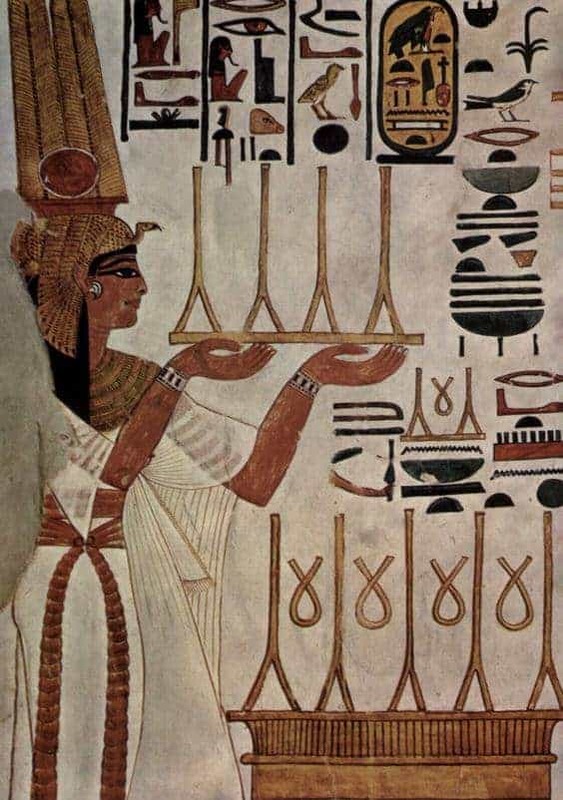 For example, one of the murals shows Nefertari worshipping the mummified body of Osiris and in another scene she is offering milk to the goddess Hathor. Luxor’s West Bank is also home to the Tombs of the Nobles, which are not as busy and touristic as the other tombs in the region yet are just as spectacular. 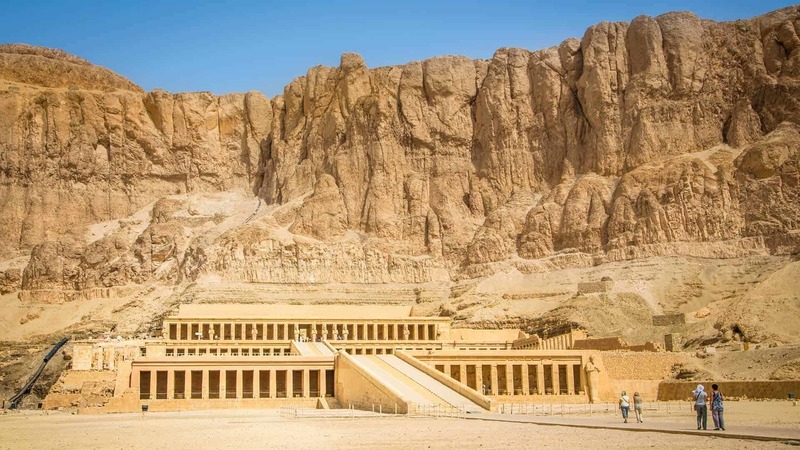 In fact, the Tombs of the Nobles have been less picked over by thieves than the empty tombs in the Valley of the Kings, so sometimes there is more to see in your customized Egypt tours. It’s worth taking the time to explore these beautiful tombs, including the final resting places of Khaemhet, Userhet and Ramose. Deir Al-Medina is the workmen’s village – an area of houses and tombs for the workmen who made the royal tombs. It is quite fascinating to visit these tombs and see the difference between mortuary temples created for kings and queens and those constructed for more “ordinary people.” However, some of these tombs are incredibly splendid and well preserved. 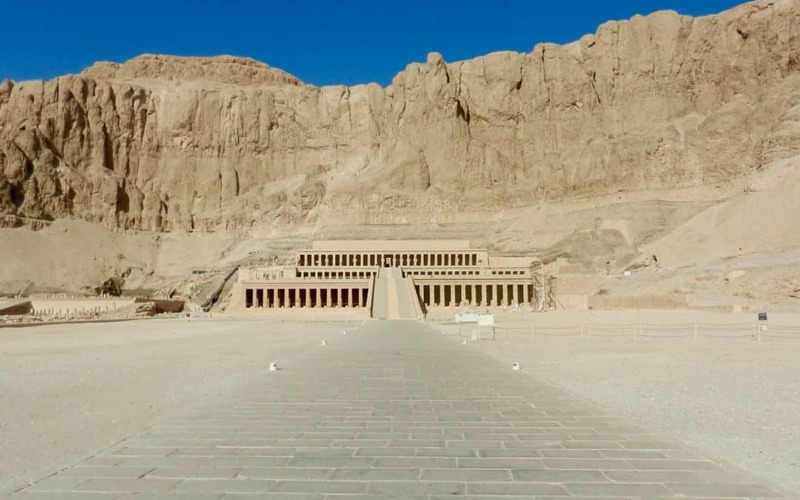 This stunning landmark was the mortuary temple of the famous pharaoh, Queen Hatshepsut and all Egypt luxury tours includes a visit to it. Hatshepsut became the queen of Egypt when she married Thutmose II, her half-brother, when she was 12. When he died, she started to act as regent for her stepson Thutmose III – who was only a baby at the time. 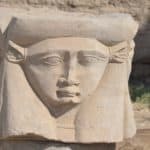 Hatshepsut is one of famous women who changed history of ancient Egypt. She later took on all of the powers of a pharaoh and became the co-ruler of Egypt around 1473 BC. Hatshepsut was the third woman to become a pharaoh in 3,000 years of ancient Egyptian history. She was the first to attain the full power of the position. (Cleopatra didn’t exist until 14 centuries later). She oversaw a lot of ambitious construction projects during her rule as Pharoah as well as extending Egyptian trade. She authorized a trading expedition to a land known as Punt (likely modern-day Ethiopia) to bring back riches such as gold, ebony, ivory, incense and leopard skins. Very few images exist of her today and this temple (supposedly designed by one of her lovers) was only used for the weeks it took to mummify and embalm her. It was her own order for her to be depicted as a male in many images and she remained quite a mysterious figure to Egyptology scholars until the 19th century. She wanted to be depicted as a male in order to portray herself as powerful and strong. However, Thutmose III outlived her and went on to rule for 30 more years. He had a lot of images of her erased from temples and monuments, perhaps to eliminate the evidence that there had been a powerful female ruler. It is one of the most dramatically situated temples in the world – built from limestone and set within a towering cliff. Be sure to check out the reliefs in the large central courtyard which show the birth of the queen, as well as the story of the expedition by way of the Red Sea to Punt to collect myrrh trees to make incense. Hatshepsut had her father’s sarcophagus reburied in her tomb so that they could lie together in death. 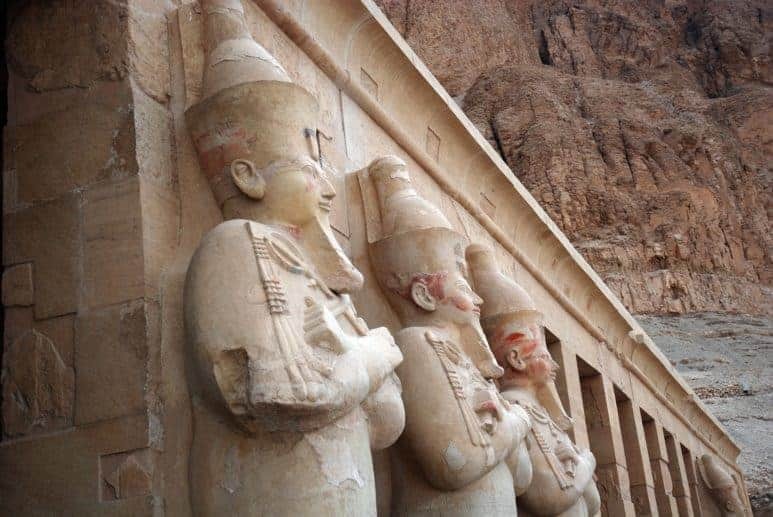 A memorial temple for Ramses III, this is one of the most beautiful temples you will see on any of your Egypt trips. The hieroglyphs were carved very deep into the walls to keep them from being destroyed later, which means that they are still vibrant and clear. Ramses II was one of the most famous and important pharaohs in ancient Egypt. However, unlike the temples at Abu Simbel and Karnak this one is mostly in ruins and is covered with 19th century graffiti (which is pretty interesting!). This is the location that inspired the famous poem “Ozymandias” by Shelley (Ozymandias was the classical name for Ramses.) Find the huge head from the fallen colossus Ramses statue and walk around the towering pillars. It is best to visit as early as possible, so that you can walk in between the temples in the cool of the morning before the sun gets high in the sky and the temperature soars. You can purchase your tickets for this area at the Antiquities Inspectorate Ticket Office – which is located on the road to the Valley of the Kings near the Colossi of Memnon. Allow for at least a half day to explore the West Bank, as there are many temples to visit. 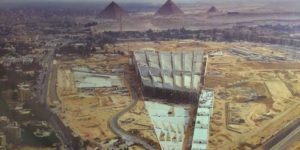 If you are particularly interested in Egyptian history, you might want to spend even more time. Once you get to the tombs area, it is possible to hike the hills in between each temple and tomb. However, avoid doing this in the middle of the day and bring plenty of water! It is a good idea to bring a flashlight with you on your tours so that you can see the detailed carvings and reliefs on the inside of the tombs. Keep in mind that only a limited number of tombs are open to visitors at any time. Check in advance or ask your expert guide. Visiting the West Bank of Luxor during your Egypt vacation will be one of the most spectacular experiences of your travels.